Since its humble beginnings as a rowdy mining town, Telluride has always been a special kind of place. Now a cultural icon, visit Telluride for some of Colorado’s most spectacular scenery, a world class mountain resort, world famous festivals, culinary delights, and outdoor activities. Centrally located in southwestern Colorado, Telluride is only a short distance from many popular attractions, such as Black Canyon of the Gunnison National Park , Gunnison Gorge National Conservation Area, Ouray Hot Springs, and the Durango & Silverton Train. There are year-round activities in Telluride to satisfy adventurers of all skill levels and interests. Known primarily as a world-class winter destination, visit Telluride in summer and discover pristine outdoor adventures with hiking, biking, rafting, and fly fishing. Within two hours or less, there are many amazing day trips from Telluride that should not be missed. The name says it all. This drive offers up “million dollar” views that will leave you breathless, taking you through some of Colorado’s most spectacular mountain passes and charming towns. The 24 mile section between Silverton and Ouray is by far the most stunning and dramatic portion of this classic drive. Going south from Ouray as you approach the summit of Red Mountain, you will pass old mines and abandoned buildings, including the ghost towns of Red Mountain Town and Ironton. Also along this route are the trailheads for the Alpine loop and Black Bear Pass. For the more adventurous traveler who wants to explore the backcountry, make sure you have a vehicle with four-wheel drive and high clearance. As you leave Ouray, you will pass the famous Ouray Ice Park on the right. Take a right at Camp Bird Road for access to the Yankee Boy Basin, or take the scenic route to Telluride via Imogene Pass – the 2nd highest drivable pass in Colorado at 13,100 feet. Should you choose to do the San Juan Skyway from the other direction, take Highway 62 west off of 550 in the historic ranching town of Ridgway. Located in a beautiful open valley with expansive views of the Cimarron Range and the San Juan Mountains, Ridgway sits at the crossroads between Ouray, Montrose and Telluride. Known for its family friendly feel, Ridgway puts you right in the heart of regional outdoor adventures. Only minutes away from the San Miguel River, the Uncompahgre, and Ridgway State Park, Ridgway is the perfect place to stop, relax, and enjoy the outdoors. Fly fishing in and around Telluride means over forty-five miles of fishing runs on the San Miguel, renowned tail water fishing on the Uncompahgre River, pristine high country perfection on the forks of the Cimarron, and mind blowing scenery and large fish on the Gunnison River. Closest to Telluride, the San Miguel offers five species of trout, and plentiful pocket water, along with some pool and riffle-like runs. The river lends itself to a wide variety of bug life including caddis flies, mayfly, and stonefly hatches. July through October will present the best conditions. 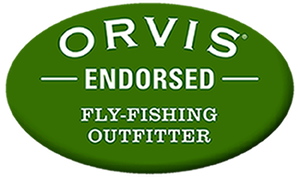 Going out with one of our professional fly fishing guides, or stopping by the local fly shop for some advice and regional flies, is the best way to ensure success. The San Miguel River satisfies all experience levels with lush riparian forests, red rock canyons, and continuous Class II and III+ rapids that will challenge your paddling skills and leave you wanting more. Between the rapids, look around and enjoy the spectacular scenery unique to this part of Colorado. Whether looking for a half day or a multiday trip, let an experienced licensed outfitter like RIGS get you out on the water. Your safety is our top priority! Whether you are a backcountry enthusiast or an RV traveler, Owl Creek Pass and the Cimarron Range offer everyone a rare and unspoiled wilderness adventure. If you seek solitude, backcountry hiking, camping, or high alpine fly fishing, this is your place. Highlights include wild rainbow and cutthroat trout on the three forks of the Cimarron River, the scenic and remote Silverjack Reservoir, along with great camping and fishing below the dam at the Big Cimarron Campground. The area boasts excellent public access and is only an hour and a half drive from Telluride. From Telluride, on your way to any of the top five day trips, you will pass through the town of Ridgway. Centrally located on the main drag in Ridgway, RIGS is the only full service fly shop and guide service in Ouray and Montrose Counties. Located only 10 minutes from Ouray, 30 from Montrose, and 40 from Telluride, RIGS is a great place to stop for supplies and advice. The Durango to Silverton Narrow Gauge Railroad, departing the historic town of Silverton in the afternoon, is a trip the whole family will never forget. This historic steam locomotive train ride has been in operation for more than 120 years. Enjoy 45 miles of Southwest Colorado’s canyons, abandoned mining camps and steepest peaks. The Durango & Silverton Narrow Gauge Railroad is an ideal family day trip from Telluride. Montrose is the region’s major commercial and transportation center. From Telluride, the conveniences of Montrose are only an hour and 15 minute drive. Also, there are daily shuttles available from both Telluride and Mountain Village. For the outdoor enthusiast, Montrose is known primarily for the pristine beauty of Black Canyon of the Gunnison National Park, world class fly fishing at the East Portal in BCGNP, and the Gunnison Gorge . Raft or Float Fish in Gunnison Gorge NCA for an experience of a lifetime not to be missed.